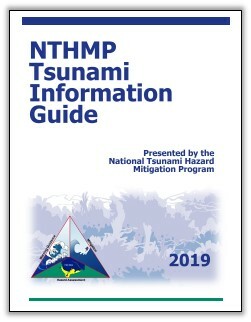 The purpose of the NTHMP Tsunami Information Guide is to serve as a general resource for information about tsunamis in the United States. 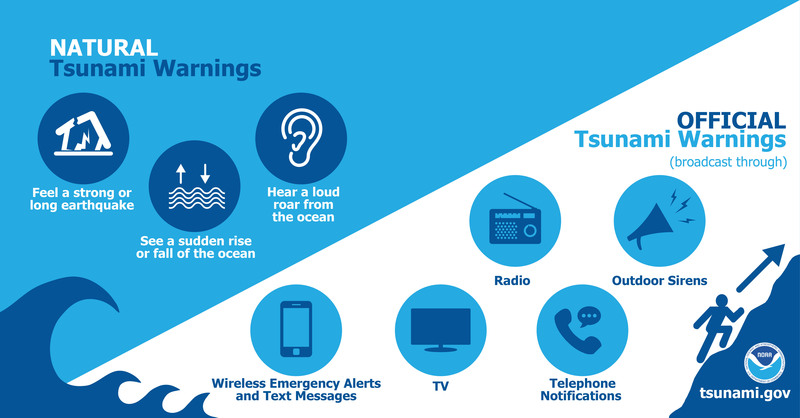 It is written for anyone who wants to know more about tsunamis, the U.S. Tsunami Warning System, and how to prepare for tsunamis. Potential users include the general public, the media, educators, community officials, and public information officers in NTHMP partner agencies. 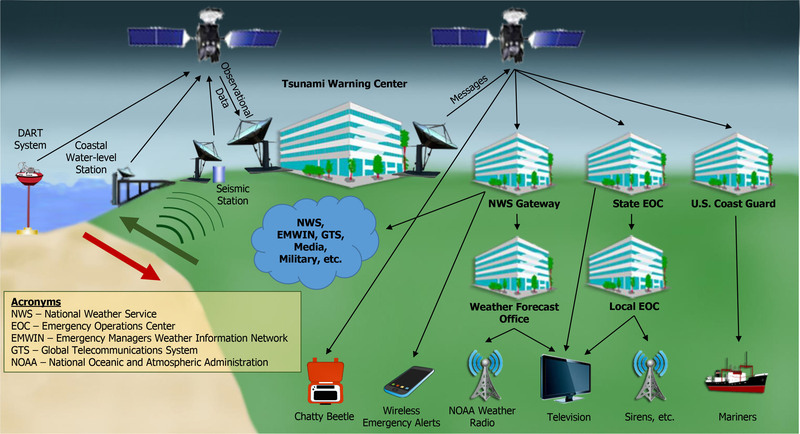 The guide is organized into five sections: Introduction, Tsunami Basics, Tsunamis in the United States, U.S. Tsunami Warning System, and Tsunami Safety. 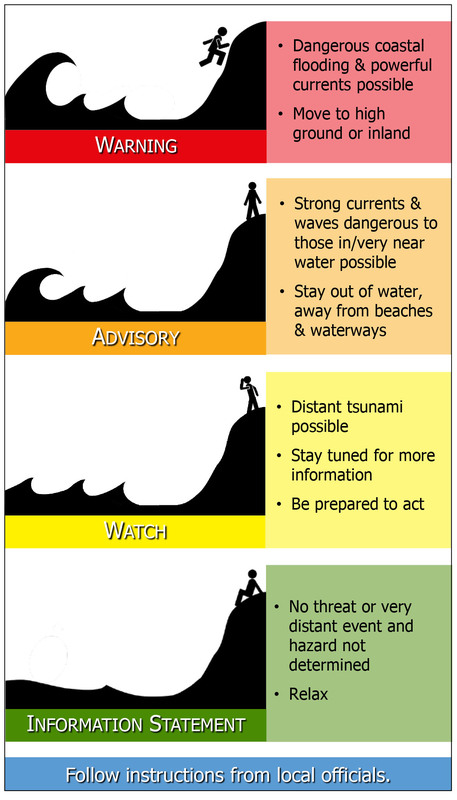 Appendices include historic tsunami information, key resources, and NTHMP partner contact information. Note: The guide can be printed booklet style on 11x17" paper. You may have to play around with your printer settings to make it work. Try these steps: 1) Under "Page Size and Handling," Click on "Booklet" 2) Click on "Page Setup" 3) Select "Tabloid (11x17)," then click "OK" 4) Leave "Orientation" as "Portrait" 5) Adjust color settings, if necessary. One-pager (.pptx | .pdf): Space on front allows for inclusion of logo/contact information.